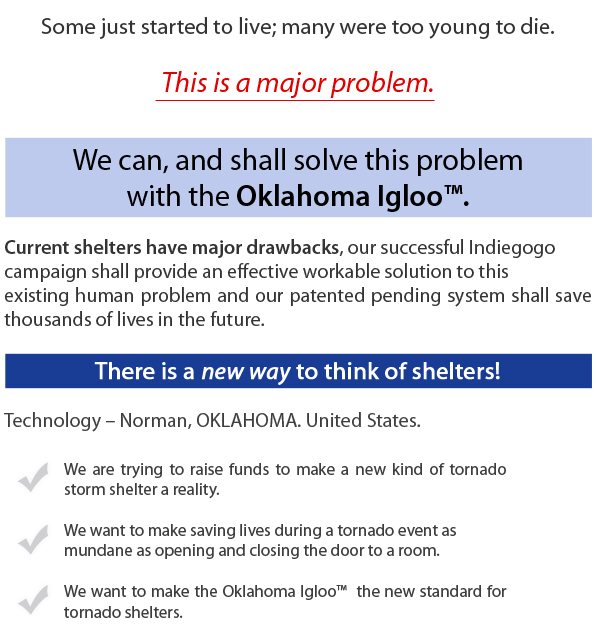 Current shelters have major drawbacks, our successful program shall provide an effective workable solution to this existing human problem and our patented pending system shall save thousands of lives in the future. The Igloo™ is the right shelter at the right time. Present day advanced Doppler weather radar gives a reasonable 20 minute warning of most approaching tornadoes. 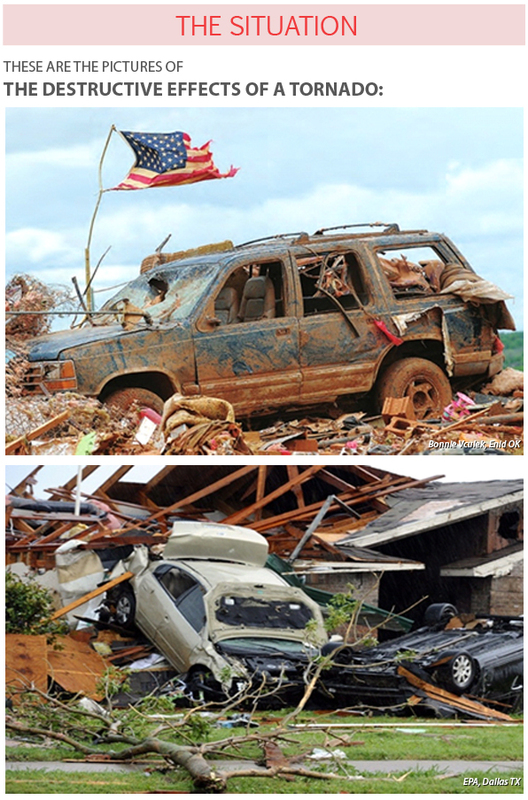 A family needs to enter their shelter and remain in place until the storm blows over. Sometimes the storm system is violent enough and widespread enough in time, that families need to stay inside the shelter for hours. Nothing is more comforting to a family, especially with children, at this critical time than a safe inviting above-ground shelter which provides an assuredly secure place with a great feeling of comfort. In addition, this new innovation is structurally capable of withstanding the most violent storms and also it is deployable at a cost competitive with existing shelters and can be routinely implemented with a minimum of equipment and manpower. Various types of structures are made by reputable companies. 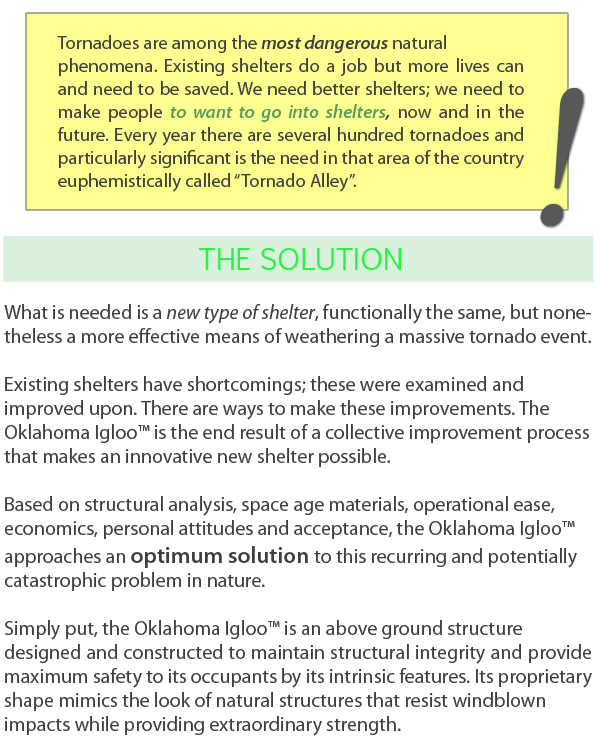 However, important changes are needed in design and implementation of shelters to allow for universal acceptance today.